A big audience in the Durban Playhouse were treated to a brilliant piano concerto and an exceptional symphony in the latest concert of the KZN Philharmonic Orchestra, and both performances were given a standing ovation by the excited listeners. The concerto was Rachmaninov’s No. 4 in G minor, not nearly as well-known as his second and third piano concertos. Written in 1926 and later revised twice by the composer, it lacks the sweeping melodies of its predecessors but its very difficult piano part is unmistakably Rachmaninov. 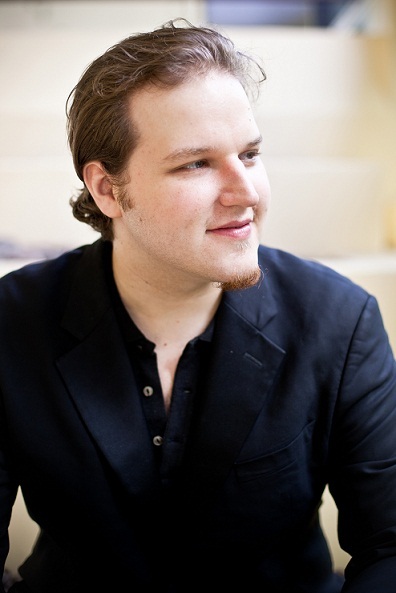 The soloist here in Durban was Lukas Vondracek, the 30-year-old Czech pianist who has visited South Africa several times. He has given more than a thousand concerts in 27 different countries and has built an imposing reputation. It is easy to understand why. His first notes in the Rachmaninov concerto showed a big, commanding approach, and what followed was an extraordinary display of virtuosity, hands flying over the keyboard at high speed with total accuracy. And he produced a lovely tone in the work’s many lyrical passages. The orchestra, under the baton of the visiting Russian conductor Daniel Raiskin, deservedly shared in the prolonged applause at the end. Vondracek gave an encore that was a complete contrast, an exquisite performance of the famous Traumerei (Dreaming) from Schumann’s Scenes from Childhood. The concert opened with Weber’s lively Euryanthe Overture, and the main work of the evening was Dvorak’s splendid Symphony No. 7 in D minor. Dating from 1884, this is one of the high points of symphonic music, dramatic, romantic and always melodious, with Dvorak’s Czech/Bohemian background never far from the scene. The orchestra were in top form here. Dvorak’s music gives all the players a chance to demonstrate their skills and the KZNPO players rose to the occasion, for example the horns in the truly eloquent passages assigned to them. The expressive conducting of Daniel Raiskin was a key factor here.